Hipster Man Playing Guitar For His Girlfriend Outdoor Against Brick Wall, Enjoying Together. Banco De Imagens Royalty Free, Ilustrações, Imagens E Banco De Imagens.. Image 77501008. 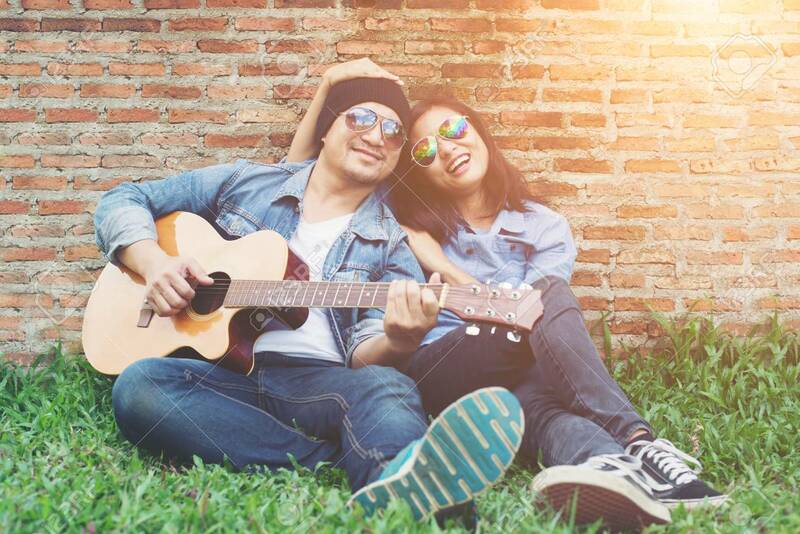 Imagens - Hipster man playing guitar for his girlfriend outdoor against brick wall, enjoying together. Hipster man playing guitar for his girlfriend outdoor against brick wall, enjoying together.